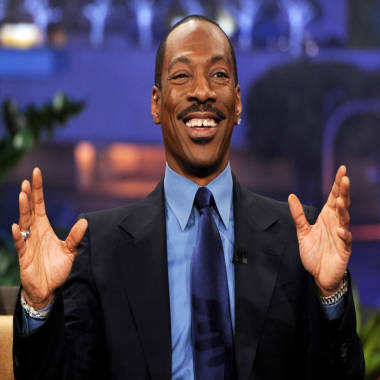 Eddie Murphy won't host the Oscars after all. Eddie Murphy has withdrawn as host of the Oscars, the Academy of Motion Picture Arts and Sciences said in a statement Wednesday. The decision had been predicted by movie industry observers, as Murphy is friends and creative partners with Brett Ratner, who stepped aside less than a day ago as producer of the show. Ratner left the position after he was heavily criticized for using a gay slur during a question-and-answer session for his new film, "Tower Heist," in which Murphy stars. He was also criticized for sexual and other statements he made about women on "The Howard Stern Show." "I appreciate how Eddie feels about losing his creative partner, Brett Ratner, and we all wish him well," said Tom Sherak, president of the Academy. Eddie Murphy has stepped down as host for the 84th annual Academy Awards ceremony, one day after the show's producer Brett Ratner resigned following an uproar over his use of a homophobic slur. The New York Times wrote that Murphy's decision "represented an embarrassing collapse of the Academy’s plans for the Oscar presentation and left it with just over three months to fill key roles for one of the most elaborately staged television shows of the year." At the time Murphy was chosen, Reuters wrote of Murphy and Ratner: "the pair bring a decidedly comic edge to the show that has tried to stay relevant among young and mainstream moviegoers as its major awards in recent years primarily have gone to dramas aimed mostly at older audiences." But some saw it as a "Tower Heist" publicity stunt from day one. Wrote Movieline: "The actor was pulled on board to host the Oscars by his 'Tower Heist' director as both a marketing ploy for the comedy — which premiered to lackluster box-office figures this past weekend — and as a means for what many fans hoped would be a Murphy comeback." Murphy's decision is, in publicity terms, much worse news for the Academy than the Ratner situation. Moviegoers and award-show watchers care about the show's host, not who's behind the scenes. In 2011, Anne Hathaway and James Franco hosted, and received some of the worst reviews in recent memory for an Oscar hosting job. The Hollywood Reporter called their hosting "spectacularly bad" and said the show "hit a new low." The show will not only have to hustle to find a new host and producer, but whoever is chosen will face the public image that they were a fill-in choice. And while plans for the show had been to rely heavily on comedy, thanks to Murphy's skills, that may be called into question with a new host. Names frequently tossed around for Oscar hosting duty include past hosts Ellen DeGeneres, Billy Crystal and Steve Martin. There's even a Twitter campaign to get The Muppets, who have a movie of their own coming out this month, to host. The Academy Awards are scheduled for Feb. 26, 2012.
Who would you choose to host the Oscars? Tell us in the comments.